United M48 Kommando Survivor Guthook Knife | BUDK.com - Knives & Swords At The Lowest Prices! This high-impact resistant, tactical combat knife is designed to withstand extreme conditions. The patent pending design is exclusive to United Cutlery. 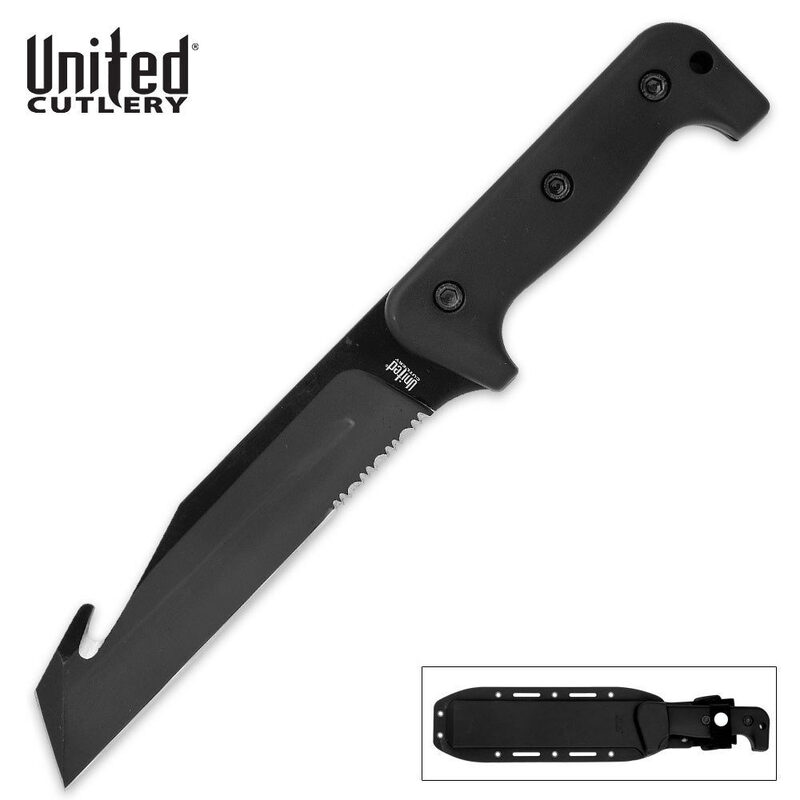 This knife features a solid full tang 7 1/2" partial serrated, hook point blade constructed from solid black anodized stainless steel with a razor sharp edge. The impact resistant handle is heavy patented Kraton construction with thick gripping power. The item includes a reinforced heavy duty ABS sheath with nylon belt loop. This knife measures 12 5/8" overall in length. United Cutlery, UC2589.